From five-star luxury in Dubai to great value hotels in the UK, we have the travel management tools and industry partners to find you the best possible hotel rates and bring down your business travel expenses. Our annual booking data shows that, on average, in 2018 over 50% of bookings made by our bespoke corporate travel team were negotiated rates and cheaper than public rates, with our team able to access rate discounts at the majority of key international hotel groups. Whether you’re booking through one of our specialist travel consultants or via our business travel management software secure online portal, both make use of our Global Distribution System (GDS). This travel management software provides online and offline customers with corporate preferential rates, often beating directly negotiated hotel corporate rates. Industry partnerships are also key to us providing customers with the very best deals. 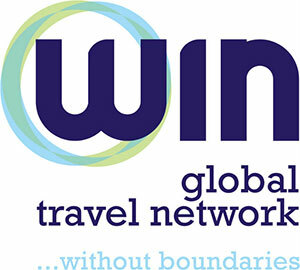 As part of both the WIN global travel network and Advantage Focus Partnership, we have access to exclusive travel discounts and the most competitive global rates. WIN’s partners take advantage of a combined buying power in excess of £3billion to leverage these rates, enabling teams to deliver a wider variety and a better quality of service. As a tangible example of the business travel spending savings that we can deliver, last week our corporate travel management team saved clients up to 25% off the most recent room rates at a Greater London Holiday Inn. Our team also has access to rates which include free breakfast, late check-out times and digital benefits. We’re all about providing the very best customer service, and these networks allow us to do just that, delivering a wider variety of high-quality services using the combined buying power of all partner companies. In the coming years, we will continue to explore membership opportunities to bodies which allow us to further improve our service and ensure that we’re providing customers with excellent value for money when it comes to managing business travel for you. To speak to our hotel reservations team to see how much we can save you on your next business trip, please give us a call on 01625 446 288.